Kick Off the Football Season with Toyota Deals & Cash Giveaway! Our beloved Jacksonville Jaguars are gearing up for a new NFL season, and the team at Beaver Toyota is celebrating with a variety of new vehicle specials, not to mention offering you a chance to win $2,000 when you buy one of the new Toyota vehicles from our dealership in St. Augustine. 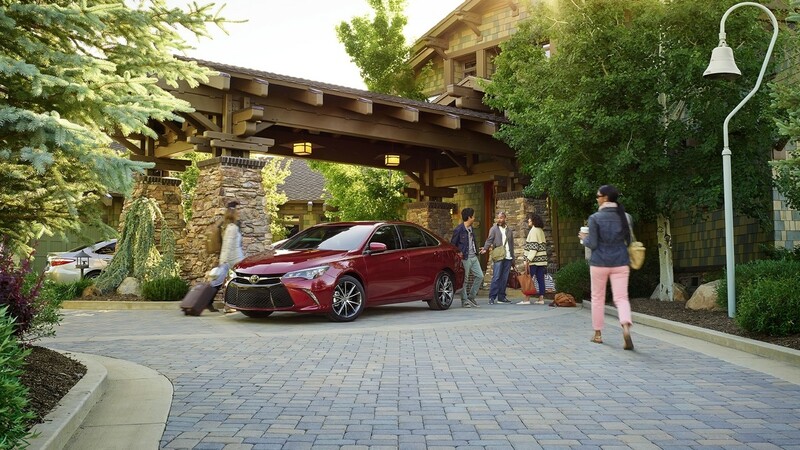 Take advantage of special lease rates on the new Camry, Corolla, and 4Runner, or buy a new Toyota and have your name entered for a chance to win our weekly $2,000 drawing! So before you sit down to enjoy next Sunday’s game, have a seat behind the wheel of a brand-new Toyota from our dealership near Palm Coast. 2017 Toyota Camry SE – For just $199/month, you can lease the new Toyota Camry LE. This midsize sedan comes generously equipped with Bluetooth®, a 6.1-inch Entune™ touchscreen, a rearview camera, and sporty suspension tuning. 2017 Toyota Corolla LE – Lease the new Corolla for $159/month, and enjoy standard features like Siri® Eyes Free voice controls and the Toyota Safety Sense™ P (TSS-P) driver assistance suite. 2017 Toyota 4Runner SR5 4×4 – For $299/month, you can enjoy uncompromising off-road capabilities from this body-on-frame SUV with standard skid plates and rugged V6 power. Check Out Toyota’s Starting Lineup Today! There are a lot of top prospects in the new Toyota lineup this year, so don’t miss out! Here at Beaver Toyota, we promise to uphold the Beaver vows, which include our guaranteed Wow Price as well as a commitment to be fast, fair, and transparent. Visit us today to explore all the deals going on at the kickoff of this football season, check out your financing options, and enter for your chance to win $2,000*! Contact us for more information or to set up a test drive. *One winner will be selected each week for a chance to win up to $2000. See dealer for details. *New 2017 Camry SE. Model #2546. Lease for $199 a month for 36 months. $2,999 down payment. Not valid with any other offers, discounts, prior sales, or events. No security deposit required. All pricing plus tax, tag, title, registration & $699 dealer transfer service fee. Subject to availability. With approved credit. Limited Quantity. Expires 09/30/17. *New 2017 4Runner SR5 4×4 model #8664. Lease for $299/mo for 36 months. $2999 down payment. Not valid with any other offers, discounts, prior sales, or events. No security deposit required. All pricing plus tax, tag, title, registration & $699 dealer transfer service fee. Subject to availability. With approved credit. Limited Quantity. Expires 09/30/17.